Following a period of a few months with record-low volatility, all major cryptocurrencies had moved sharply lower yesterday, further dampening the already-weak optimism surrounding digital assets. According to coinmarketcap.com, the global market cap plunged to $184.8 billion from $209.9 billion less than a day ago. All major cryptocurrencies are on red, most of them losing more than 10% in value in the past 24 hours. As we have written in a recent article, the Bitcoin Cash fork had been contributing to a rise in the value of the cryptocurrency, but still, before the fork actually taking place, the price had erased all the prior gains. The reason is assumed to be the uncertainty generated by the disagreement which led to the split of Bitcoin Cash in Bitcoin ABC or core Bitcoin Cash, and Bitcoin SV (Satoshi’s Vision). One of the most disappointing news is related to Bitcoin, which had breached the 6,000-floor, defended by the bulls for the entire summer. 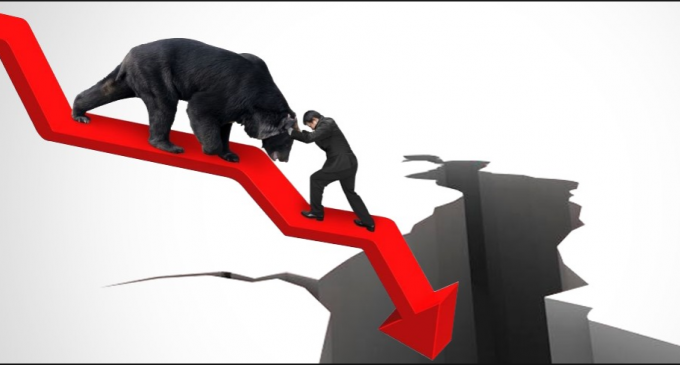 The current selling waved have most likely triggered a huge number of stop losses located around the above-mentioned floor and now the market participants are expected to “go with the flow” which means further weakness could be on the table. The other major cryptocurrencies had been hit as hard as Bitcoin, XRP being down 8.9% at the time of writing, Ethereum dipped much lower by 13.1%, and Bitcoin Cash slumped 11.8% and it is expected to see how the price action will behave now that today the fork will take place. Is there any link to the stock market? According to a recent article published on CNBC, the recent selloff in tech stocks presumably had also an effect on cryptocurrencies. Generally speaking, there is no correlation between the price of cryptocurrencies and the stock market, but now that tech stocks are being hit hard, cryptocurrencies follow through. It could be one of the factors, since companies like Amazon, Microsoft, Facebook, had been all linked to getting involved in projects based on the blockchain technology. A lower market valuation for these companies will mean they will have less capital available for spending, making them prioritize their most important activities. Although this cryptocurrency slump might be disappointing in the short run for crypto enthusiasts, from a longer-term perspective, it enables buyers to step in at much lower levels. If cryptocurrencies will materialize their full potential, prices will be doomed to rise higher.